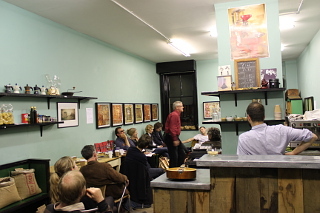 More Poetry is an intimate, friendly evening with a guest poet and open mic and began in ’05. You may be a seasoned pro, a never-read-before beginner, or just someone who enjoys poetry. You are welcome! New venue. 91 Harrow Place E1 7DB - Still 5 minutes from Liverpool Street Station. It’s 7.15 for 7.30 on the second Monday of the month except August and January.